Cover: Use a lid on your pans, this stops soup or similar things from spilling onto the oven and staining it. If you are baking make sure you cover your dish with a lid, or if it doesn’t have one just cover it with some tin foil, this will prevent burns and stains inside your oven and help keep it fresh and clean. Kill the Spill: Spills are bound to happen; it’s one of the perils of cooking. When you spill something wipe it up as soon as you can, this will prevent it drying up. If it has dried up use wire wool and a damp cloth to tease it off. Condensation is King: Many people use this trick on their microwaves but it also works just as well on your oven. Leave a pot of boiling water steaming inside your oven for about 30 minutes. This will loosen up residue and make it much easier to keep those surfaces clean. 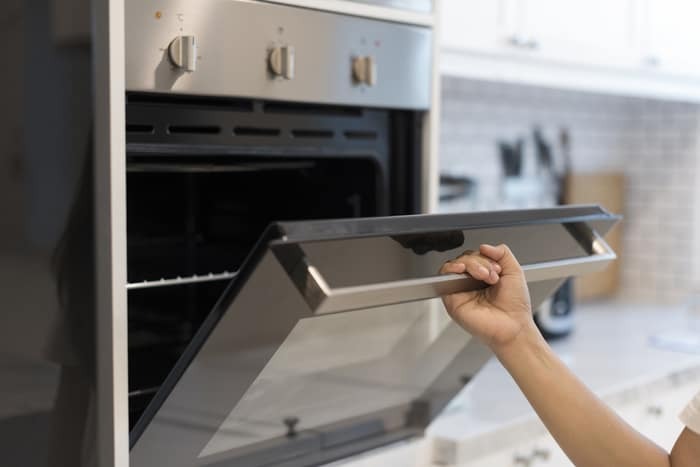 If all else fails and your ovens cleanliness spirals out of control don’t worry you can get a professional and thorough clean from us, just contact us now!